In 2012, after 4 1/2 years of filming, Billy released Primitive Instinct Vol. 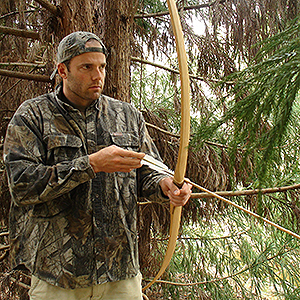 1, an entirely self-filmed DVD showing primitive archery gear used in real hunting scenarios. He has worked as a survival skills instructor for troubled youth in Oregon, taught for Dave Canterbury, and demonstrated primitive skills at outdoor/hunting expos and college anthropology classes.